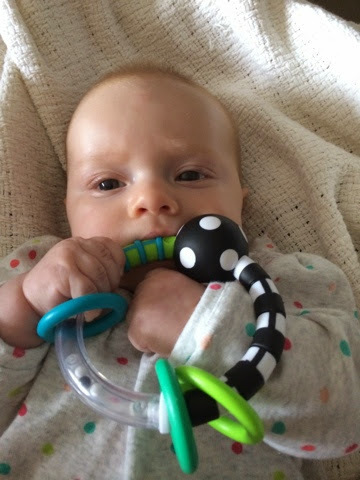 Over the past few days, Avery has discovered that she has these magical apparatuses called hands that she can use to stick things in her mouth. Her mind is blown. The dog is confused about why she isn't allow to put the toy in her mouth.